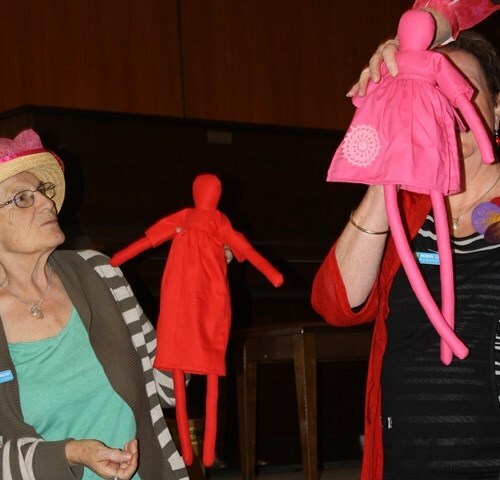 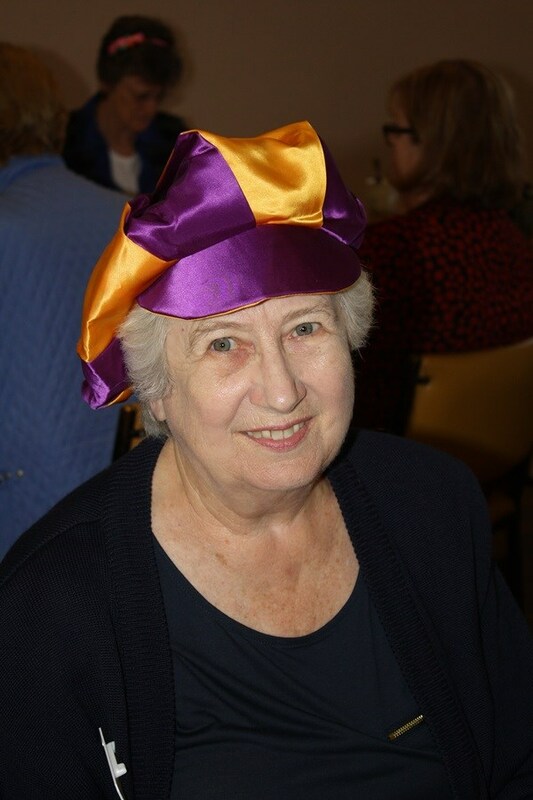 The November meeting provided a lot of fun for the 100+ members who attended. 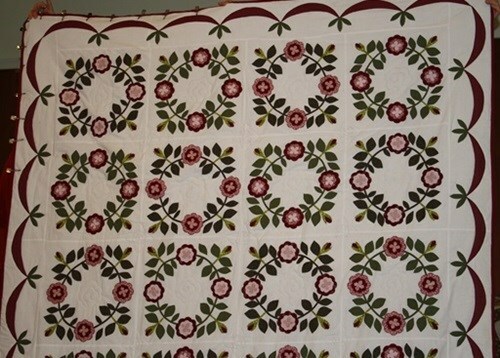 Mill Rose Cottage provided the shop: fabrics, threads, patterns and lots of little 'whatchamacallits' proved very popular with members. 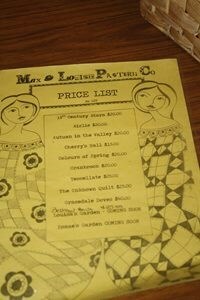 Many members were quick to renew their acquaintance with the familiar sellers from Mill Rose Cottage. 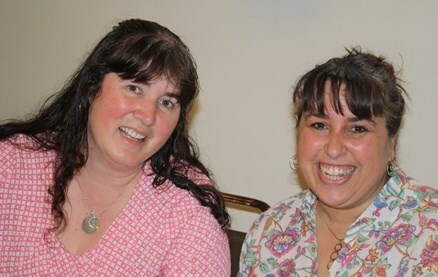 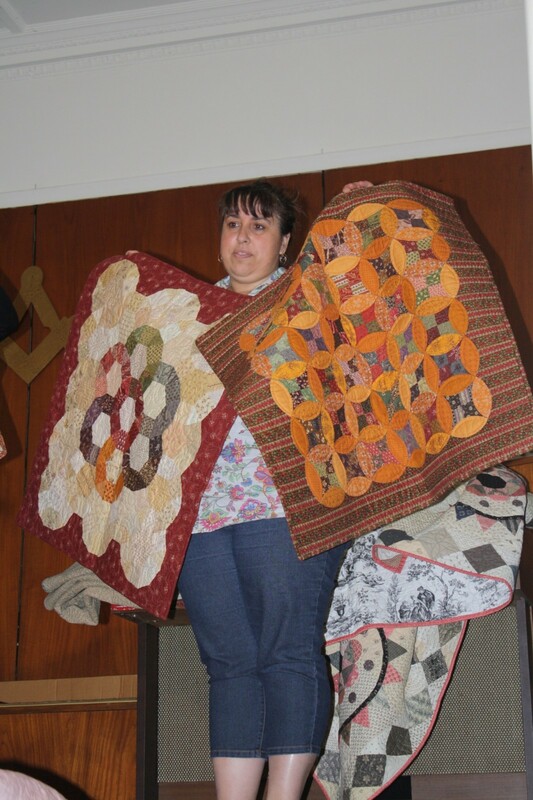 Our speakers were from Max and Louise - Lisa and Louise displayed lots of lovely patterns and provided many delightful samples of their work. 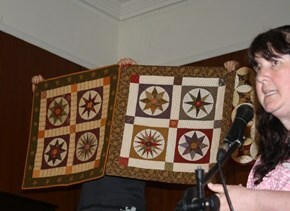 Many of the full size quilts were completed in two different colour palettes: it is always a surprise to see the impact of different colour choices on the look of the finished quilt. 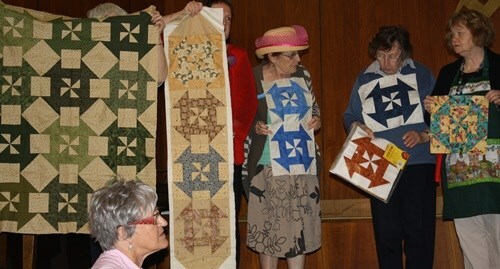 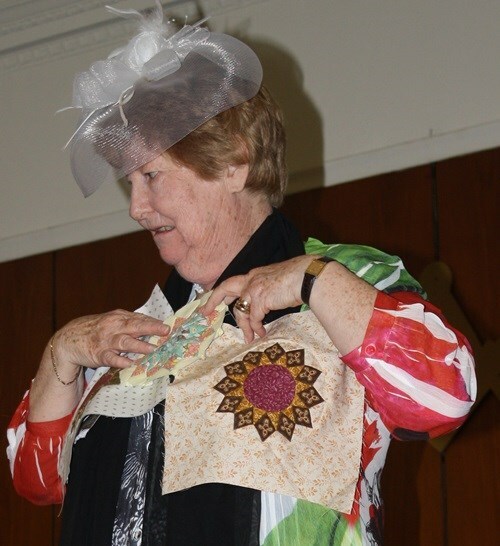 Members also enjoyed looking at the large number of miniature quilts they presented. 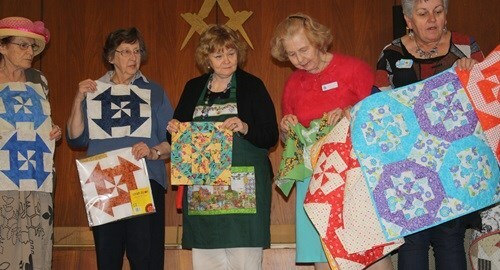 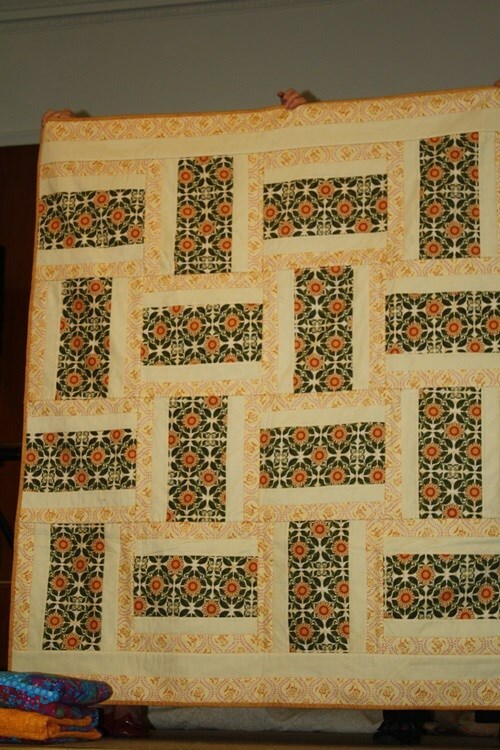 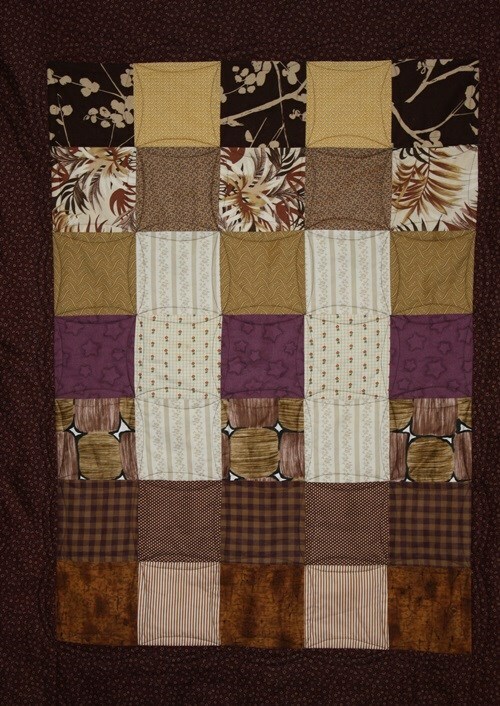 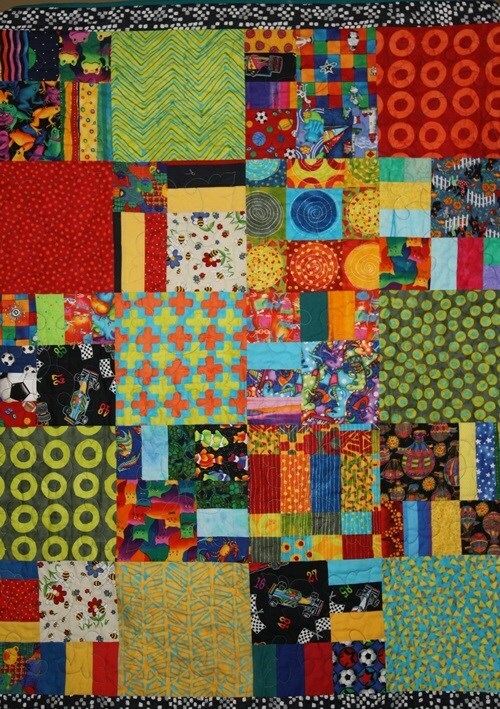 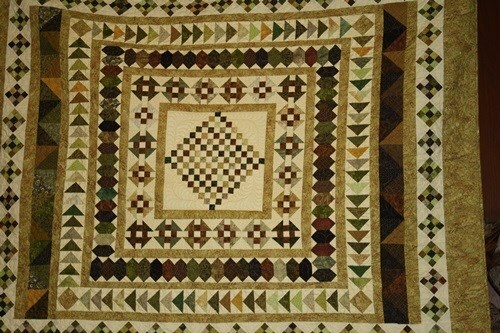 Some of these quilts are shown below. 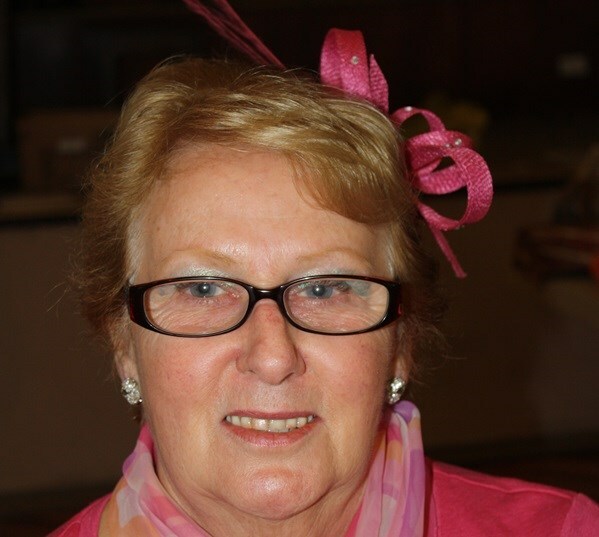 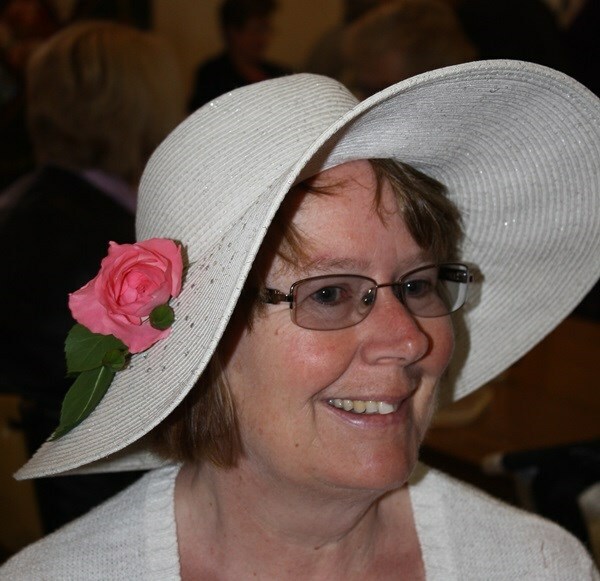 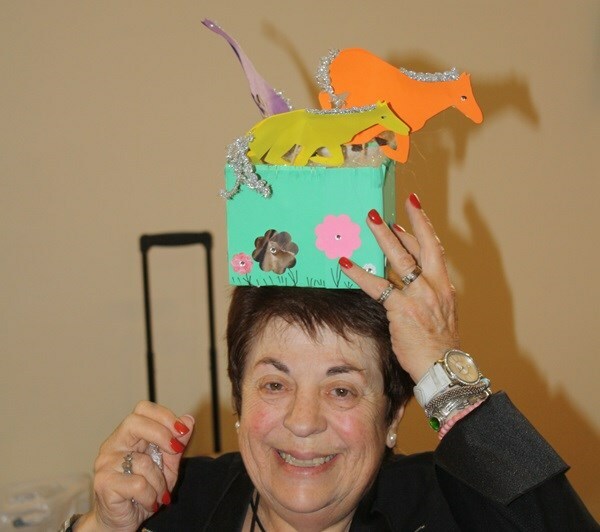 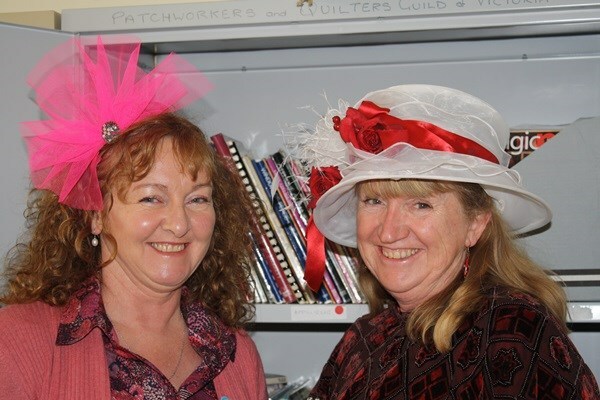 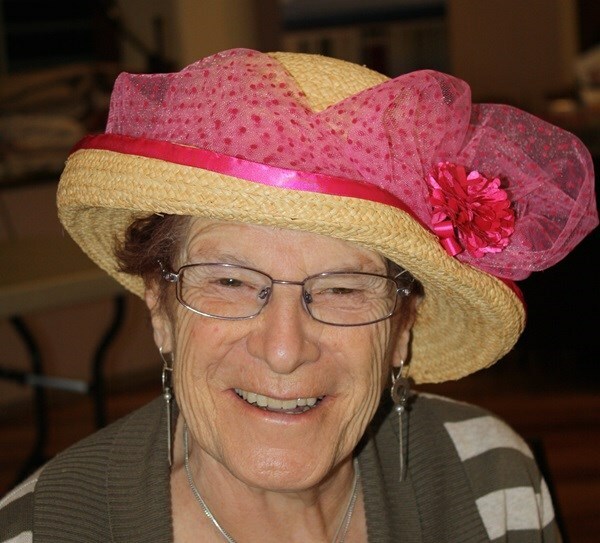 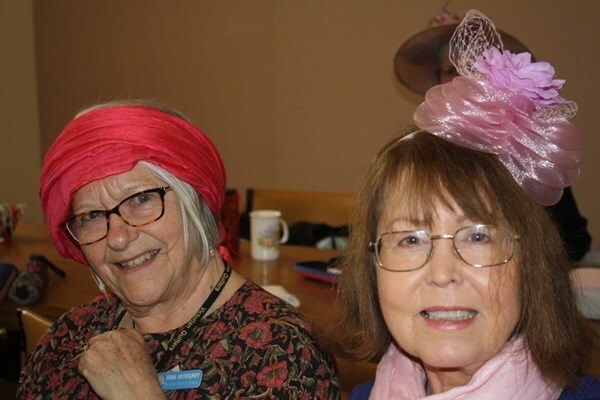 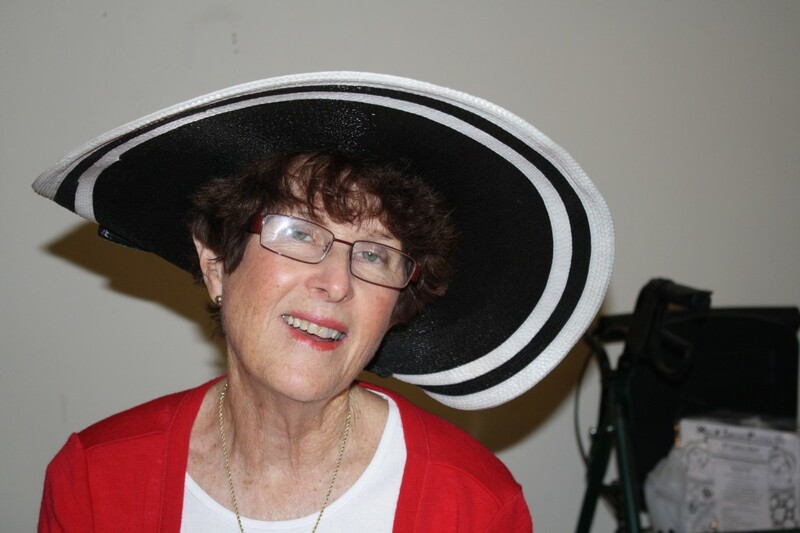 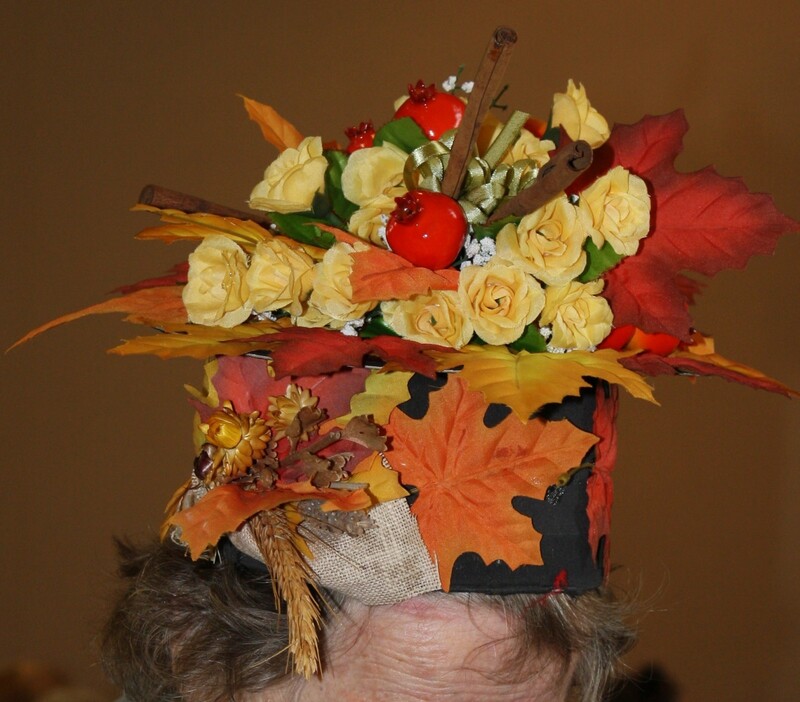 A major feature of the meeting was the number of members who entered into the spirit of the meeting by wearing their Cup Day hat designs. 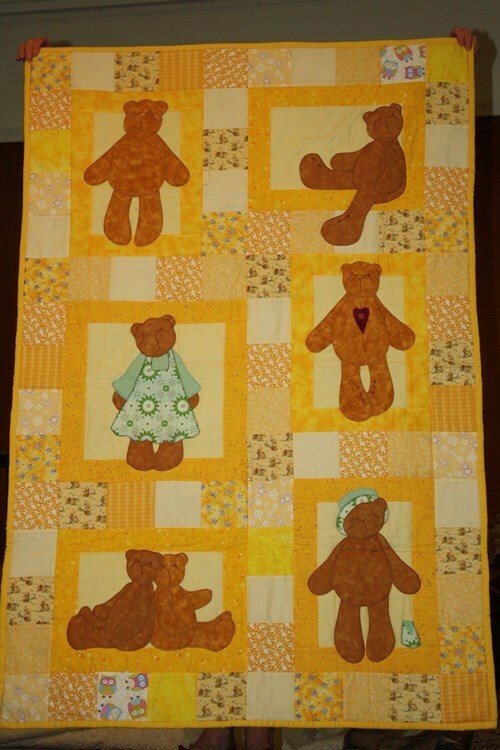 The gallery of photos below illustrates the originality and skill of our members. The industriousness (and skill) of our members was further displayed when the Retreat organisers called on "retreat members" to display their (mostly) finished retreat projects. 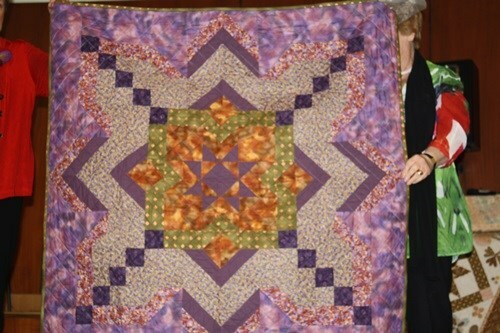 Some of the amazing work can be seen below. 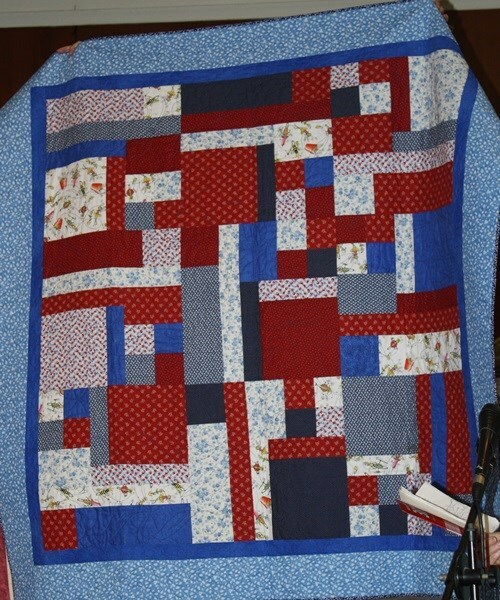 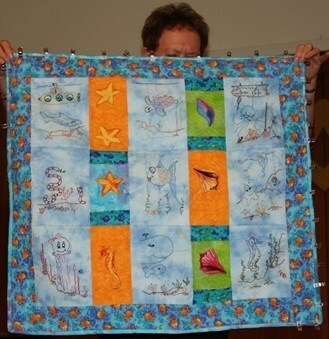 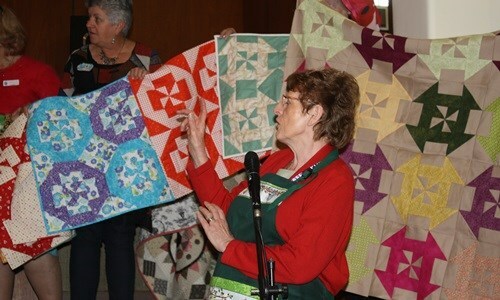 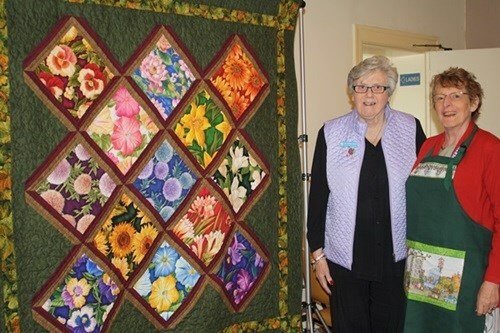 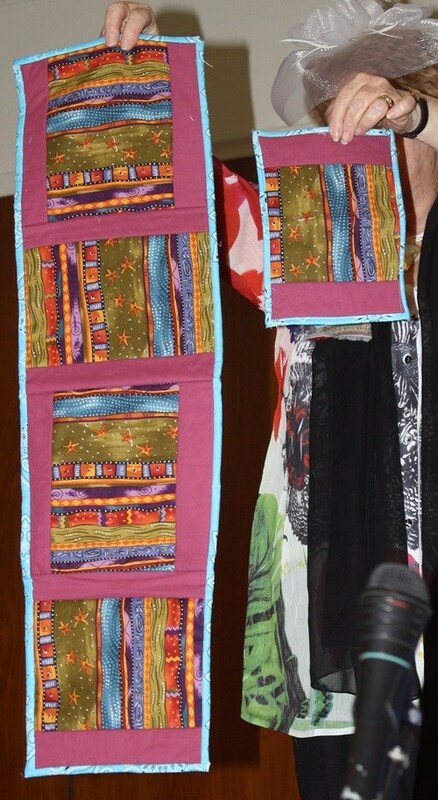 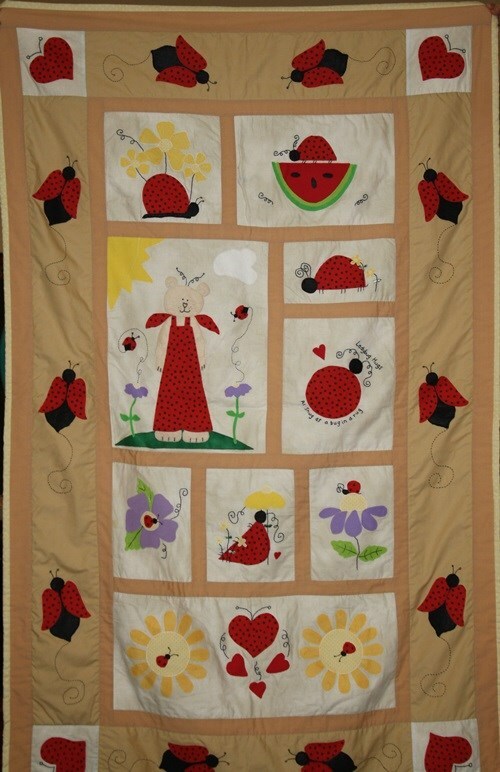 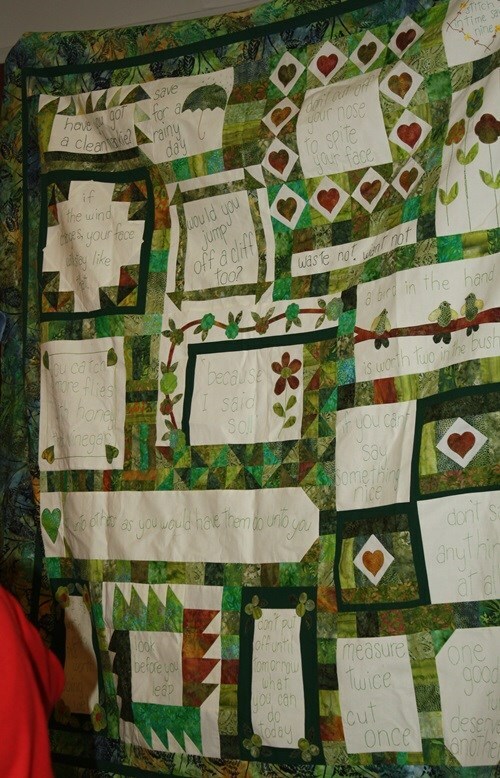 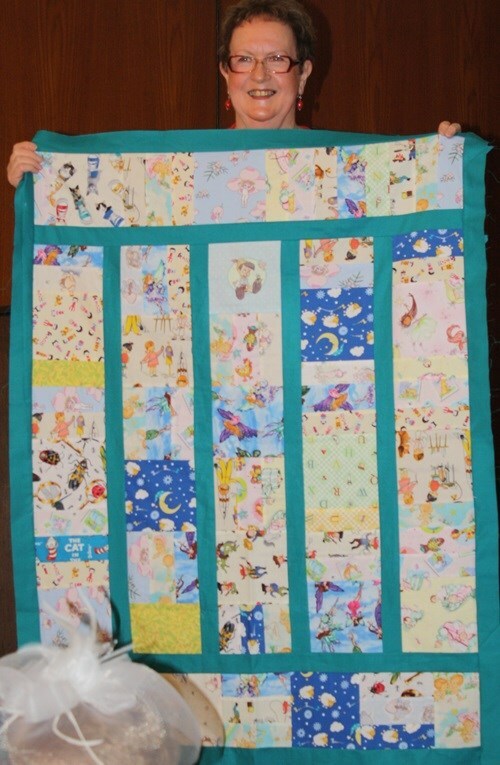 There were also a large number of caring and sharing quilts presented to the meeting. 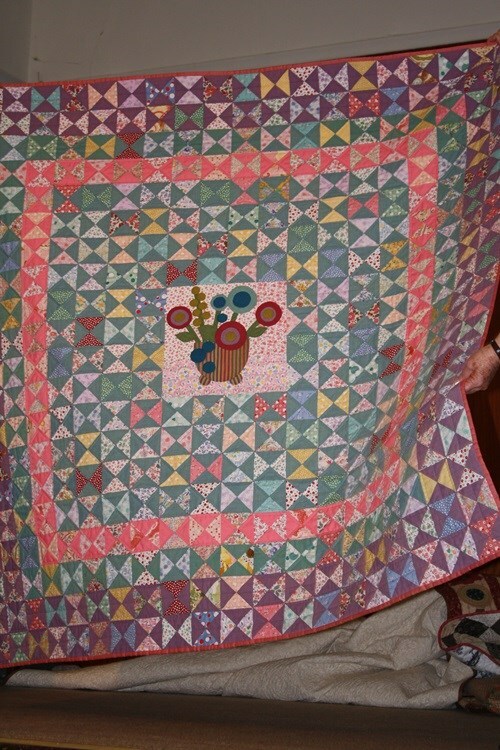 A few of these are shown in the gallery of photos below. 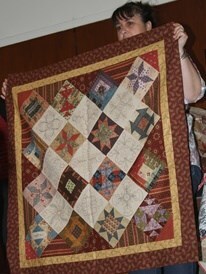 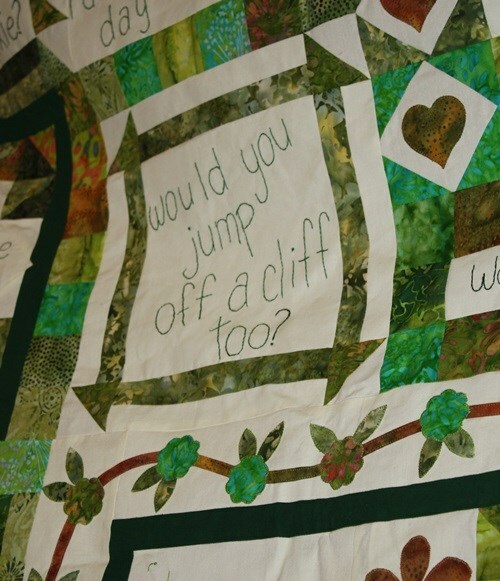 As well there are images of the remarkable quilts from our Show & Tell segment. 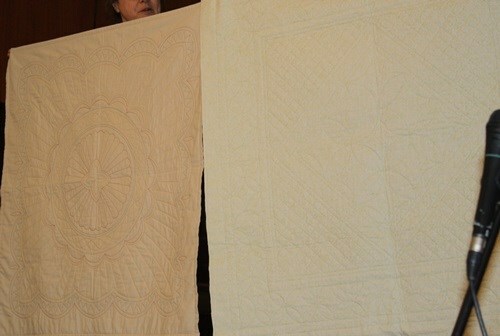 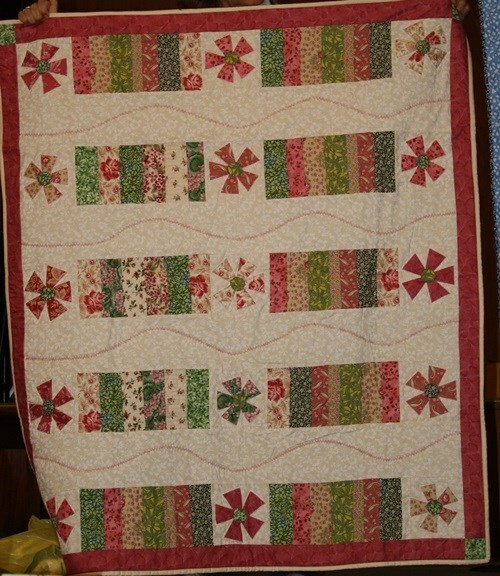 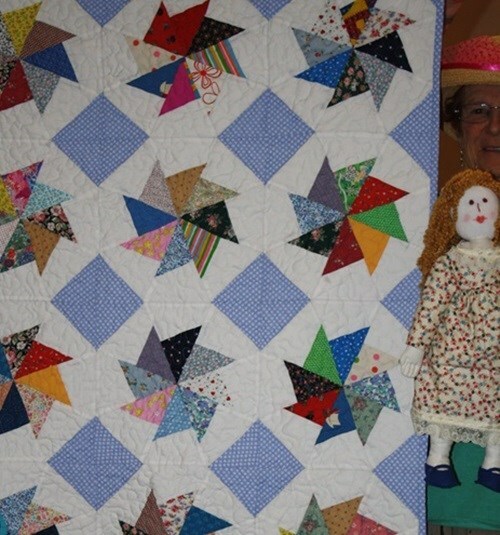 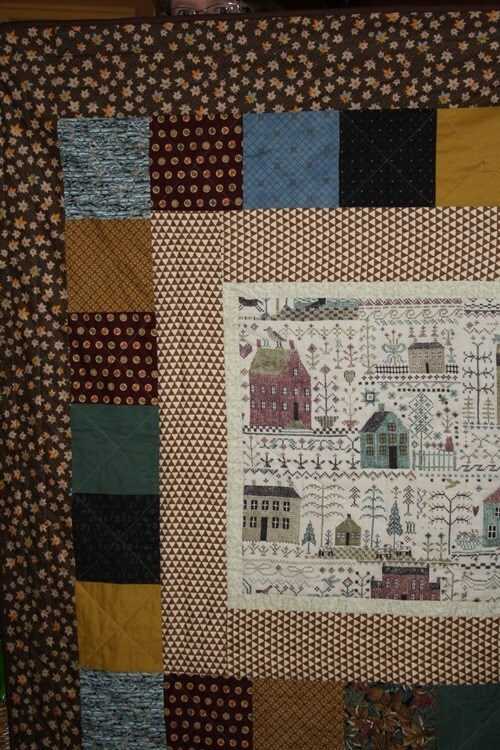 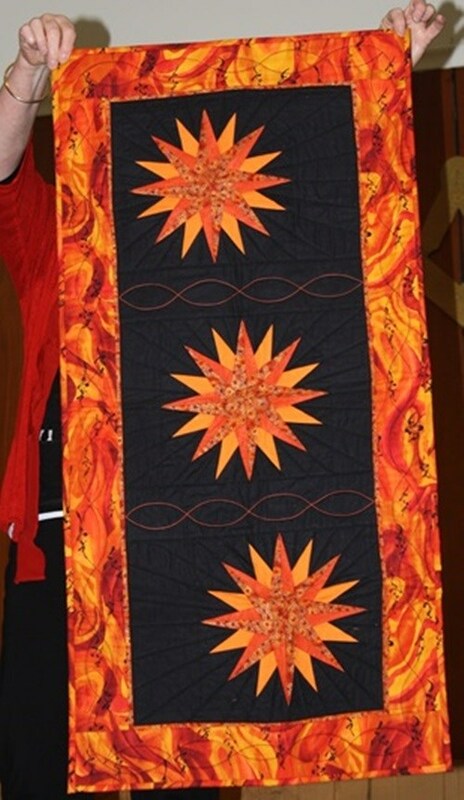 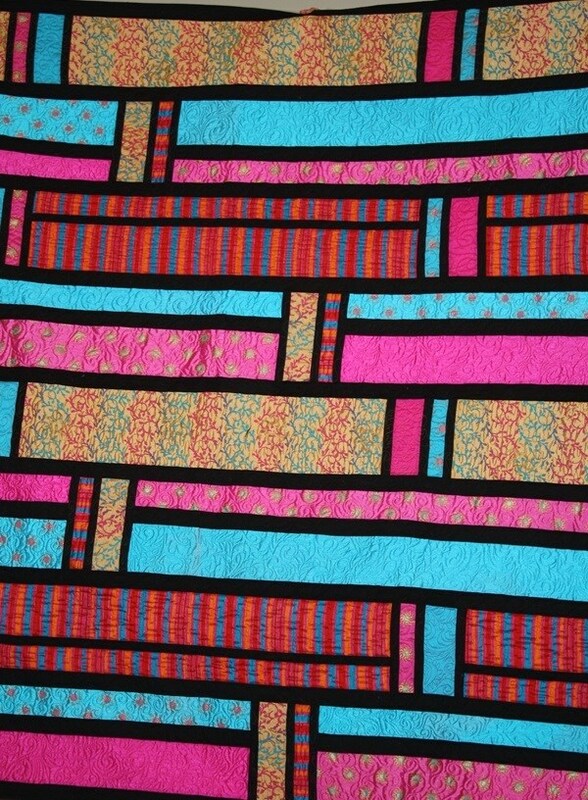 It is always interesting to hear the story behind a quilt's creation. 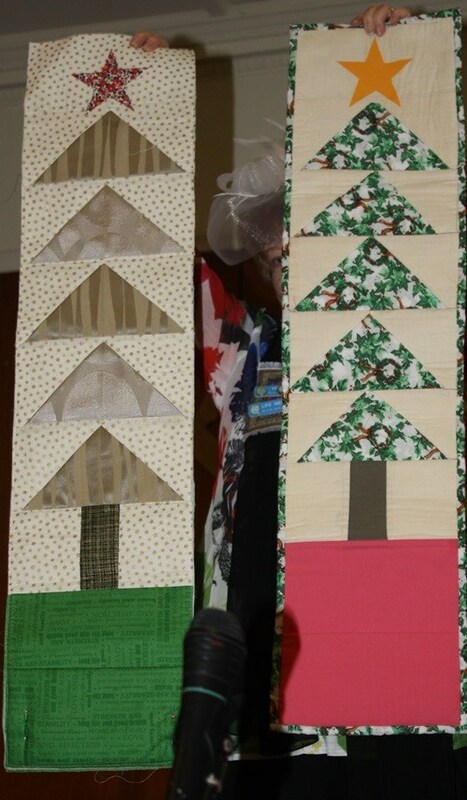 We hope you can join as at the December meeting to help celebrate Christmas. 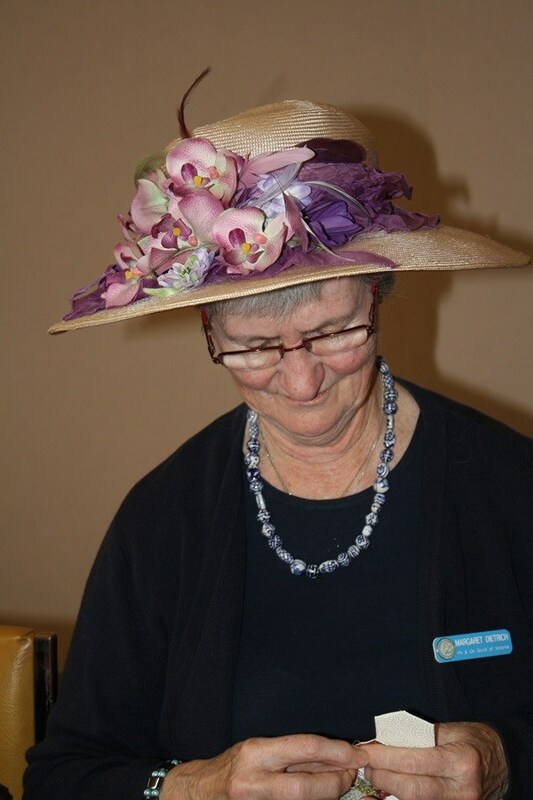 Remember the December meeting starts at 11am.